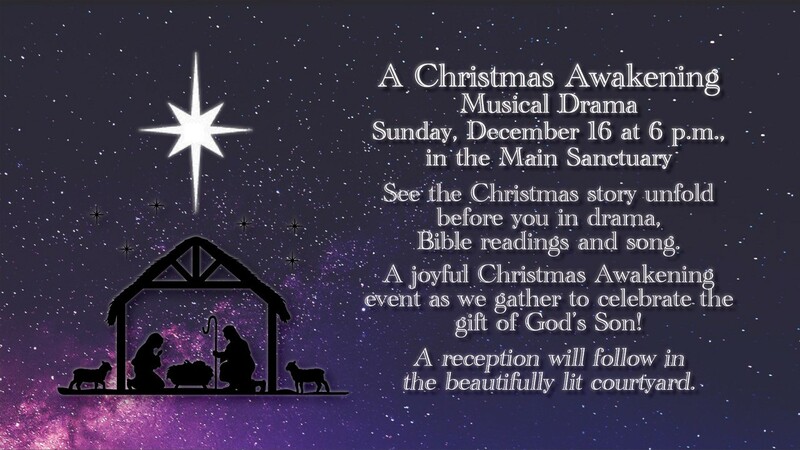 See the Christmas story unfold before you in drama, Bible readings and song. A joyful Christmas Awakening event as we gather to celebrate the gift of God’s Son! A reception will follow in the beautifully lit courtyard.